All the malls, all the cabs, all those glass towers and just so many people! Escape the cacophony of Gurgaon at these weekend destinations that are must-visit places. You could choose your destination depending on whether you want a place to just chill and do some sight-seeing or want to plan fun activities for the whole family. This one’s for the adventurous bone in you. Obstacle courses, wall climbing, an authentic village experience, team building activities and the best part – overnight camping! Whether it’s for your work team or family or a friends’ reunion, the adventure park has something for everyone. Fancy a ride in the skies? Head to the Flyboy Air Safari for some powered paragliding and get a bird’s eye view of Delhi’s suburbs. All you have to do is pack comfy shoes and clothes (you’ll be high up in the sky after all!) and be over 4 years of age. A tranquil oasis tucked away in the Aravalis at Gairatpur Bas, Tikli Bottom is a Lutyens-style havelis that offers a day full of relaxation and fun for the whole family. Beautiful gardens, a cool swimming pool and golf on the nearby links are some of the attractions. Dive into the delish meals, take a picnic out to the lovely gardens and just enjoy the silence. You won’t get much of it back home in Gurgaon! Want a snap holiday without having to drive too far? Head to The Gateway Resort at Damdama, just about 14 Km from Gurgaon. Spread over 20 acres of gently undulating Aravalis, this beautiful property has several high-powered activities for you to choose from – wall rappelling, zip-lining and ATV rides among others. Go rock climbing at the Indian Mountaineering Foundation at Dhaula Kuan. Bond with friends and family, get that super high of getting right up to the top and make some stories for dinner! What better way to spend a day? Get a real traditional village life experience (complete with games like gilli-danda and pithoo! ), a fun picnic, authentic village home-cooked food and tons of games, Pratapgarh Farms offers a day of fun and relaxation for the family. Far from the maddening city life, the property also offers camel rides, a visit to the animal barns and an experience hard to forget especially for kids. 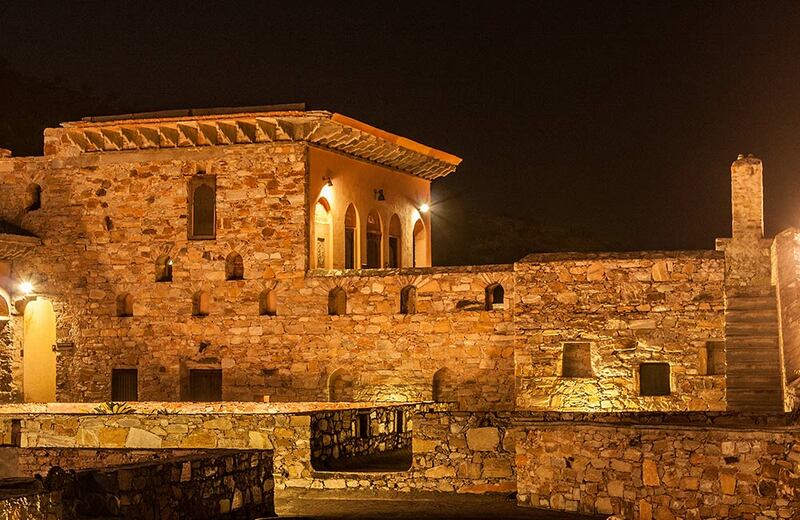 A 15th-century fort turned into a heritage hotel, the Neemrana resort is perfect for a luxé weekend experience. The medieval architecture is a sight for sore eyes in this 14-tiered property; the hanging gardens, well-maintained swimming pools, a rejuvenating Ayurvedic spa and activities for the adrenalin junkie (think zip lining) give you more than enough to do on a short weekend. This is one of those places you must visit right now! Originally built in the 18th century, the Kuchesar Fort once served as the official seat of the Jat Kingdom of Uttar Pradesh. An exotic property, this mud fort (yes, mud!) sits pretty in the picturesque Gangetic Basin and offers an exotic, authentic Indian hospitality experience. The well-appointed property showcases a mix of Indian and British elements with exquisite architecture and mouth-watering Indian cuisines. The staff treats you like royalty and leaves you wanting more. Just the place you want to head to when the drudgery of city life becomes too much to take. It’s really an old, restored haveli, or mansion. Rebuilt from ruins, Dadhikar Fort lies in the eponymous village in Alwar district. Just about a 3-hour drive from Gurgaon, this heritage property is an interesting mix of traditional and modern and takes you back centuries. The vegetarian fare is mouthwatering, the entertainment options thrilling and here’s the best part – no newspapers and no television – just tranquil hills and a slow pace you’ll come to savor. 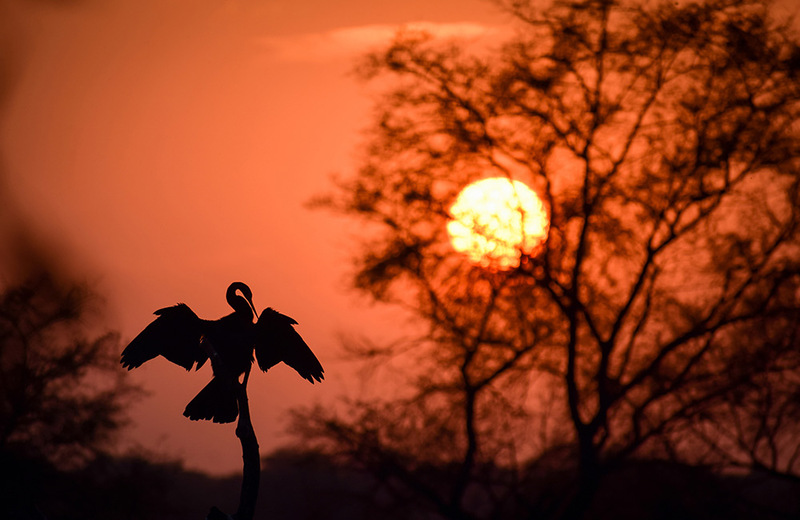 Spend a day at the Keoladeo Ghana National Park watching birds while on a boat ride on the river that runs right through the park. Serene, tranquil and a real jungle experience await you at this dense forest (‘ghana’ in the local language means ‘thick’ and that’s what the forest is!) the national park, one of the few bird sanctuaries in India, is home to several species of migratory birds. Watch out for the Painted Storks, the Grey Heron, Sarus Cranes, Garganey Teals and more. Most of these are quite evasive so lots of patience is needed. If you are an art lover, then Mandawa is the place for you. Considered Asia’s largest open-air art gallery, Mandawa is part of the celebrated Shekhawati region. 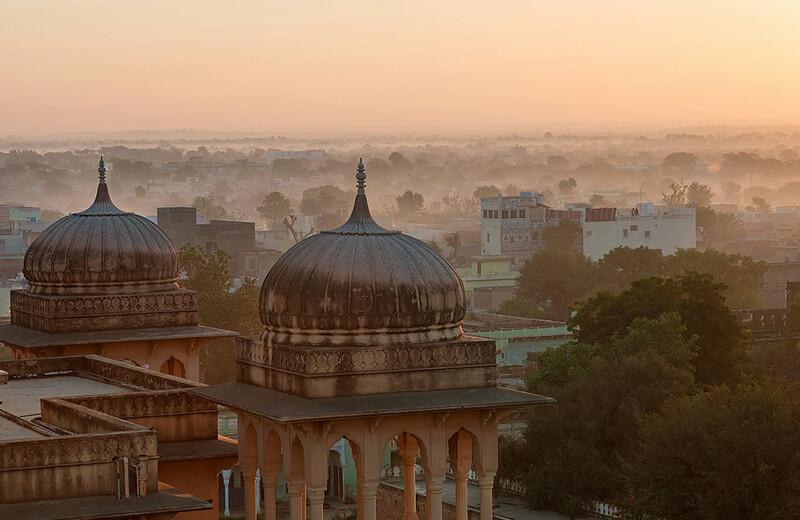 Dotted with painted havelis and walls, the town lies midway between Jhunjhunu and Sikar. Visit the Mandawa Fort, Snehram Ladla Haveli and the Chowkhani Haveli although just a walk through town will fill up your heart with its beautiful art. The star attraction of Agra is of course, the arresting beauty of the Taj Mahal, known as ‘a teardrop on the cheek of time’, a UNESCO world heritage site and one of the most memorable icons of love anywhere in the world. But there is a lot more to do in Agra beyond the obvious allure of the Taj. Perfect as a weekend destination from Gurgaon, Agra is a mix of historic and cultural elements. Visit its many bustling marketplaces, the grand Fatehpur Sikri, Agra Fort, and Sikandara – the tomb of Emperor Akbar, the marbled Soami Bagh, Mehtab Bagh, and Balkeshwar Temple among others. Sample the famed Agra kachori (a savory puff pastry), its street food and don’t forget to come back without some stunning marble miniatures of the Taj! 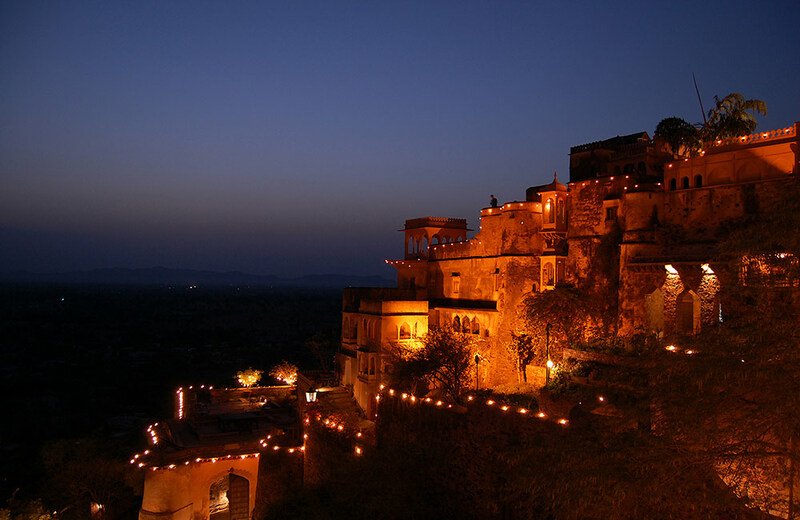 One of the best weekend destinations from Gurgaon, Jaipur is steeped in history and culture. An enthralling destination, Jaipur is a roller coaster ride of attractions – the historic Amer Fort, Hawa Mahal, City Palace, Jantar Mantar and the Birla Temple among many others, the street food, traditional Rajasthani fare- an epicurean’s delight and all that shopping at the Babu Market (it’s all painted in pink!). Don’t forget to bring back pieces in Rajasthan’s typical blue pottery and some delicious kachoris from Rawat Misthan Bhandar. This is the place where spiritually-inclined gravitate to when in India, this is the place you want to be if you like to beat the odds at white water rafting and Rishikesh is also the place to be when you want to just feel at peace in the company of nature. 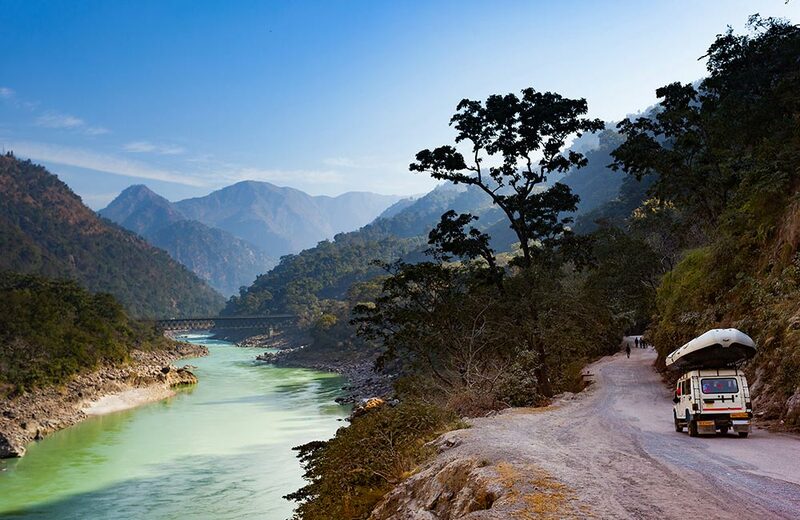 Ever since the Beatles descended on Rishikesh in the late 60s, the Himalayan town has become a major international destination. And there’s so much for you to do here – visit the Laxman Jhoola, Rajaji National Park (yes, we love forest reserves! ), Kaudiyala for some thrilling river rafting and of course, the Beatles Ashram. Yoked to the edge of the celebrated Jim Corbett National Park, 18 colonial-style lodges and cottages make up Jim’s Jungle Retreat. Comfortable interiors, a well-stocked library, a pool and an excellent spread at meal time, all in the midst of the thick forest make this the perfect weekend getaway for the whole family. Pinjore is mostly a small town in the Panchkula district of Haryana. Not much happens here but then you visit the Pinjore Gardens built by the Mughals and a whole new world opens up! One that is as fantastical in its architecture and planning as it is in its history. Planned and brought to fruition by Nawab Fidai Khan, a reputed architect and a cousin of the Mughal emperor Aurangzeb, Pinjore Gardens are spread over an astounding 100 acres. 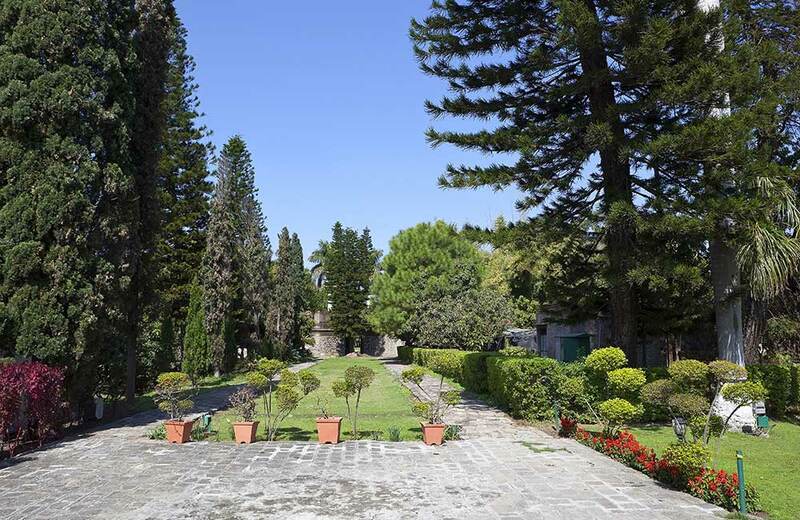 Made in the typical Persian charbagh style, the gardens are hemmed in with waterways, beautiful floral borders and trees like palms, cypress and magnolia. Visit this destination for its beautifully arched balconies, a Japanese garden, its serene pools and enchanting history. 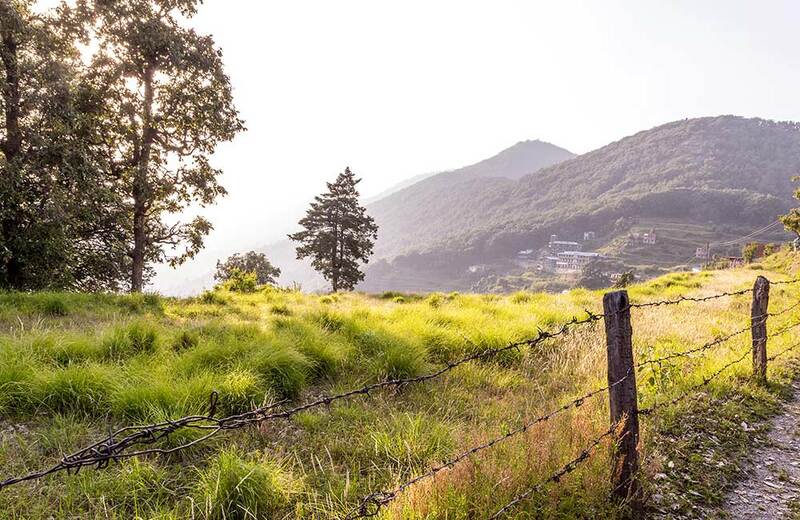 Go bird watching at the tiny, picturesque hamlet of Pangot near Nainital. With more than 250 species of birds, this is heaven for both avid bird watchers and families looking to escape the trappings of a big city like Gurgaon. The place has several boutique hotels for holiday-makers who can indulge in various activities here – trekking through lush, green forests, camping and gazing at the Himalayan peaks from the Snow Point View. Go sleep in a tent this weekend at Aman-i-Khas, a wildlife camp hemmed to the Ranthambore National Park. Soak up the nature surrounding you and feel what it’s like to be without any noise (except crickets and the swish of the breeze through brushwood). A cozy outpost, Aman-i-Khas boasts of 10 tents, complete with sleeping, bathing and dressing areas. The resort also offers several wellness treatments, organic dining and entertainment options. Surrounded by charming cedars, Shimla offers spectacular views of the majestic snow-clad Himalayan peaks. But it is a lot more than that. Once the summer capital of the British rulers, Shimla is a little town all grown up, still steeped in history, stunning architecture and beautiful English-style gardens. Head to Shimla for a weekend full of activities like Yak-rides at nearby Kufri, impromptu countryside picnics, a visit to Christ Church, the second oldest in northern India and some good ol’ people watching at the historic city center – The Mall. We promise this won’t be the last time you go there. A tiny (but packed) Tibetan colony and the official seat of the Tibetan Government in exile, McLeod Ganj is an enthralling little hamlet is also known as Little Lhasa. The impromptu markets selling everything from Tibetan hand-painted Thangkas to stone-adorned jewelry and leather pendants, chic eateries that sell authentic Tibetan and Himalayan foods, the Buddhist nuns and monks and the peaceful ambience transport you to another world. Spend a day at the monasteries and the markets or go trekking in the Dhauladhar mountains. This is one destination you’ll want to go to again and again. Who says a vacay needs to be spread over weeks? Short snappy weekend destinations that let you escape the bustling Gurgaon can be just as relaxing. Try them.